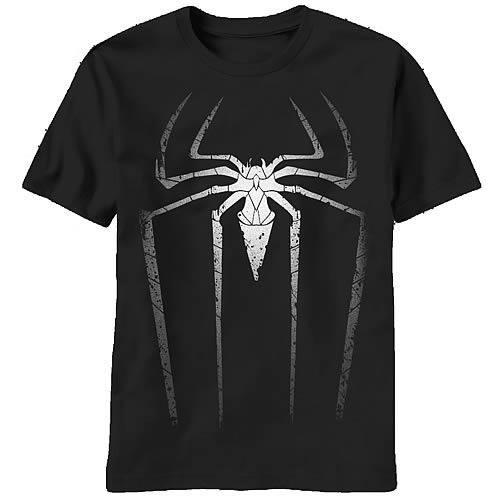 Simply cool in irrefutably strong black and white, Spidey apparel doesn't get any cooler looking than this Amazing Spider-Man Spida-Spot Black T-Shirt. Just look at that killer looking logo! Why wear that boring plain old t-shirt when you could reach into your bedroom drawer and pull the Amazing Spider-Man Spida-Spot Black T-Shirt out every morning?